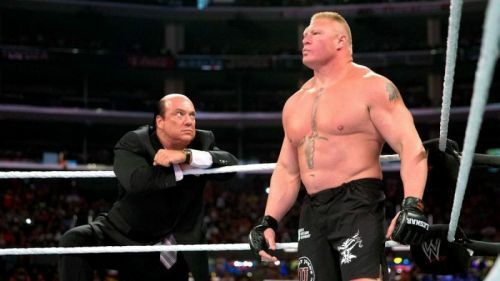 Will Brock Lesnar and Paul Heyman make a statement in Texas? Hell in a Cell takes place this weekend live from San Antonio, Texas and boasts the huge main event match between Roman Reigns and Braun Strowman for the Universal Championship with the added swerve that Mick Foley will be the man upholding the rules. Other matches include AJ Styles vs Samoa Joe for the WWE Championship, Charlotte Flair defending her SmackDown Women's Championship against Becky Lynch, Drew McIntyre and Dolph Ziggler defending their Tag Team Championships against Seth Rollins and Dean Ambrose and Ronda Rousey's first Raw Women's Championship title defense. These are just some of the biggest matches of the night but there is a lot of potential for returnees throughout the show who could push WWE forward over the next few weeks heading into Super Show-Down and Evolution. Stephanie McMahon left Baron Corbin in charge of Raw as the acting General Manager a few weeks ago, but it could be argued that The Lone Wolf hasn't had the impact that The Commissioner of Raw wanted when she decided to give Kurt Angle an extended vacation. 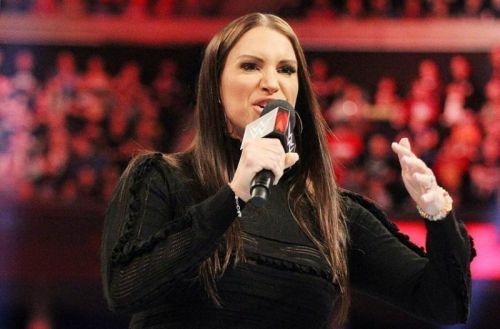 Stephanie wants what's best for business on the flagship show, but the fact that The Shield have recently been arrested, The General Manager was almost arrested last night and Kevin Owens was so annoyed with the events on Raw over the past few weeks that he actually quit the company only to return the following week. At this point, Corbin has the worst record than Angle and it appears that he is only doing what's best for himself so it could all reach a head at Hell in a Cell if Corbin's actions threaten any of WWE's main Championships. There is also the added fact that McMahon is embroiled in a feud with Ronda Rousey and she could return at Hell in a Cell to cost the former UFC Champion her title ahead of Evolution.